One of the best reasons to own a Sega Dreamcast, the excellent role-playing game Skies of Arcadia hasn't gotten nearly enough love. 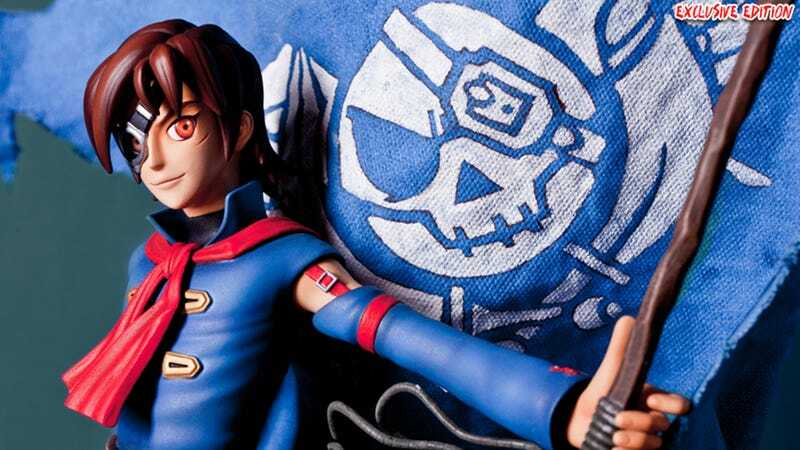 This 17-inch tall stature of main character Vyse from First 4 Figures is a step in the right direction. Sure, the game got a GameCube update and Vyse made an appearance in Sonic & All-Stars Racing Transformed, but that's not nearly enough. Skies of Arcadia deserves to be so popular that fans will have a hard time snagging one of the 1,000 $199.99 standard versions or 425 $219.99 exclusive versions with extra cutlass-wielding arm. On the plus side, there'll probably be plenty to go around, and since the statue isn't shipping until the fourth quarter of 2014, there's plenty of time to save up. Relative obscurity has its benefits.